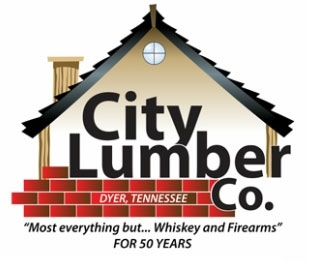 Caring for Your St. Augustine Lawn | City Lumber Co.
St. Augustine grass is an ideal southern lawn, but this thick turf requires some special care to keep it looking its best year-round. Properly caring for your St. Augustine lawn can ensure you always have a lush, beautiful yard. St. Augustine grass (Stenotaphrum secundatum) is a thick, warm season grass best suited to tropical and sub-tropical regions with mild winters. Also known as Charleston grass, buffalo turf, and carpetgrass, St. Augustine grass has broad blades that range through different shades of green and blue-green, and spreads via runners to fill in bare patches. There are several cultivars of this grass that vary in color, height, growth rate and tolerance to cold, drought and different pests and diseases. Because this lawn is ideal in southern locations, it is widespread in the southeastern United States from the Carolinas to eastern Texas, including all of Florida and along the Gulf Coast. Areas of southern California are also suitable for St. Augustine lawns, as is Hawaii, and it is widely seen in Mexico, the Caribbean, Africa and Australia in suitable climates. Is Your Yard Suitable for a St. Augustine Lawn? Despite how widespread St. Augustine grass may seem, it does require certain conditions to thrive and not every property may be suited to a St. Augustine lawn. 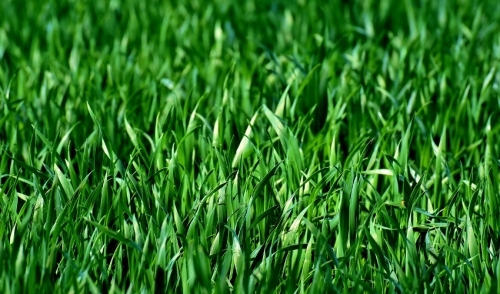 This grass will thrive in a variety of soil types, but the soil must be fertile or receive supplemental fertilization for the grass to stay thick and green. Moisture extremes are not favorable for St. Augustine grass, and it will not do well in either frequently waterlogged or drought-ridden areas, though it is very tolerant of high humidity. This grass also tolerates higher salinity levels, making it ideal for coastal regions. Some shade is fine for a St. Augustine lawn, but deep shade can stunt the grass and result in bare or thin patches. Ideally, the lawn should receive a minimum of four hours of full sun daily for St. Augustine grass to do best. In addition to the lawn, it is important to consider use when deciding if St. Augustine grass is right for your lawn. This is a bouncy turf suitable for moderate use and typical wear, but will not hold up well under excessive activity. General family activities are fine for a St. Augustine lawn, but this grass is not a good choice for athletic fields or other areas where there will be constant heavy use. This can be a thirsty type of grass and may require supplemental watering 2-4 times per week during the hottest part of summer or during excessive dry spells. Watering deeply (3-4 inches deep) will encourage a deeper root system and keep the lawn thick and full. To minimize the risk of fungal diseases, water in the early morning so excess moisture can easily evaporate. Fertilizers specially formulated for St. Augustine lawns contain the higher percentage of nitrogen this grass desires. Fertilizing should be done in spring, summer, and fall when the grass is actively growing, but these lawns go dormant in winter and extra feeding is not needed at that time. Feeding may need to be as frequent as once a month with new sod or on very sandy, porous soils that do not hold nutrition as well. The ideal height for St. Augustine grass is 3-4 inches. If the lawn is mowed too short and too frequently, it may become thin or bare, but if it isn't mowed enough or is left too long, excess thatch can develop. Depending on the growth rate and grass condition, a St. Augustine lawn may need to be mowed every 5-6 days during the summer, while mowing once every other week in winter is typically sufficient. While a St. Augustine lawn can tolerate some shade, it will look even better with more sunlight. Diligently pruning trees and shrubs that shade the lawn will allow more sun to reach the grass so it will thrive. Similarly, avoid planting new trees that may more heavily shade the lawn and deprive it of the sunlight it craves. This grass can develop thick layers of thatch that choke its runners and inhibit growth, as well as prevent moisture from reaching the roots. Dethatching may be necessary to combat this problem, particularly if the lawn has been fertilized too much or mowed too little. Core aeration can combat thatch without damaging too many runners, or use a top dressing can encourage microorganisms that will reduce thatch without damaging the lawn. St. Augustine lawns can be plagued by chinch bugs, white grubs, sod webworms, cutworms and other pests, as well as fungus infestations of brown patch, grey leaf spot, and others. Being alert to these problems and safely applying appropriate insecticides or fungicides as soon as infestations appear will reduce difficulties and prevent pests and diseases from spreading. A St. Augustine lawn can be a luxurious, rich turf for a southern home. Understanding the needs of this tropical grass as well as how to care for it properly will ensure you have a beautiful lawn for many years to come.